This is the Grimmspeed License Plate Relocation Kit. The main purpose of these is to position the license plate to the OEM tow hook provision. The front license plate can block air flow for those of you with a front mount intercooler setup, and it will additionally create better airflow to your radiator and AC condenser. This is a very durable unit and is crafted from laser cut from 5052 aluminum materials and has been powder-coated black for a clean look and extra protection against rust and corrosion. Also included is a tow hook adapter that is custom designed and CNC machined from 12L14 before getting treated with a black zinc finish. Note that because this item mounts using the OEM tow hook provision, the OEM front bumper beam will be required for installation. With that said, FMIC kits that require the removal of the bumper beam will not work with this kit. Screws perfectly into the stock tow hook threads behind the bumper cover, no modification of the bumper needed, just snap off the tow hook cover piece. The GrimmSpeed Kit allows you to mount the license plate any which way you want, usually you want to mount it so it hides the missing panel behind it. It even comes with washers to space the plate mount farther from the bumper if needed. One concern I had initially was that it'd rotate with bumps/vibrations after mileage but it won't as long as you tighten properly and use removable Locktite. Highly recommend for a simple front-end styling change. Just a simple mod but in my state you have to have a front plate on and my WRX doesn't have holes in the bumper so I'm not about to put any in it. This part was exactly what I had hoped for and was not only easy and straightforward as far as installation it also gives many different options in terms of instal fitment other then screwing into the tow hook location, there's no give on that part. Only thing is you need your own Allen wrenches. Size 4 and size 2.5 I believe. bought this for my 05 outback xt to see if it would fit. it does fit. good quality. Quality product with an array of options for mounting positions. Spacers are also supplied to accommodate your specific application. Looks nice but if you don't really snug it down, it will eventually come out of adjustment and need to be tightened up. Will I have to drill a hole to install? I don't seem to have a way to pop anything out. A: This item mounts using the OEM tow hook connection, you should not have to drill the bumper. A: The answer given by staff is wrong. 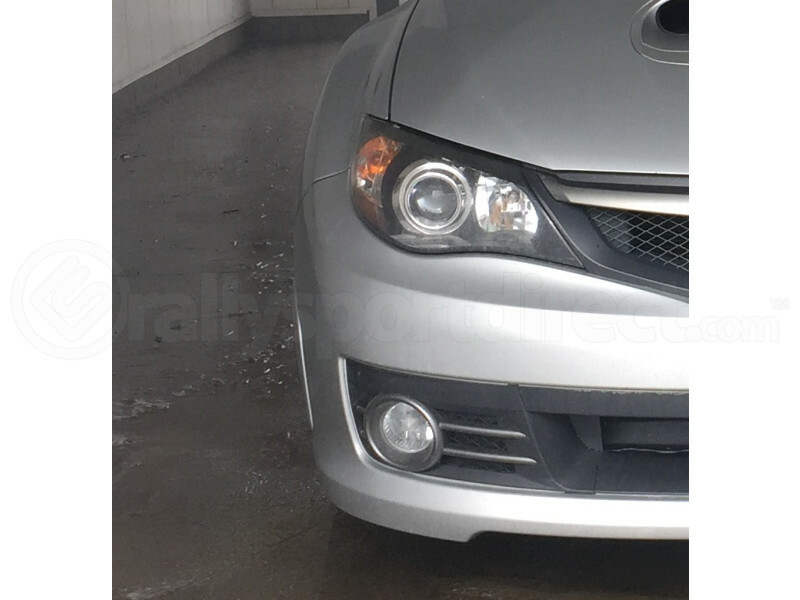 This requires the popping out of the entire fog light cover, as one would use to use the tow hook, on the GR STi with fog lights, but leaves everything exposed to the elements. If not, then you need to remove the small bracket behind the fog light cover, and hope that the mounting hook fits in between the grille openings. The OEM tow hook doesn't fit. will this fit a 2015 wrx? Is this also applicable to Forester SH 2011 model.? thanks in advance. A: This relocation kit has not been confirmed to fit the 2011 Forester. Can this fit Euro plates? A: We can only confirm fitment for US Models. Will this fit a 2014 STI Sedan Base with no fog lights? I don't see the small cutout that is typically there. Do I need to drill into my bumper? A: This will fit in your 2014 STi as confirmed in the applications list. The relocation kit will screw into the OEM front tow hook connection. I recommend checking out the pictures below to locate the general area. Thank you!